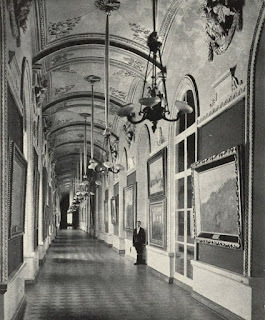 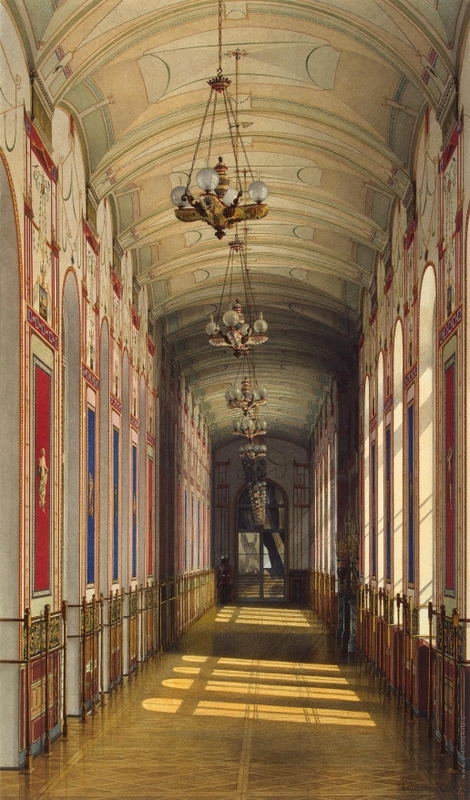 A long corridor connected the Jordan Staircase to the private apartments of Nicholas and Alexandra Feodorovna on the 2nd floor of the Winter Palace. 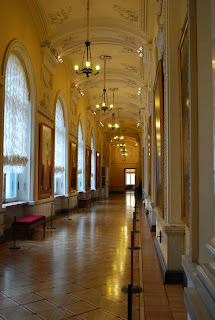 The windows look out into the Large Inner Courtyard and opposite are mirrored doors into the Nicholas and Concert Halls. 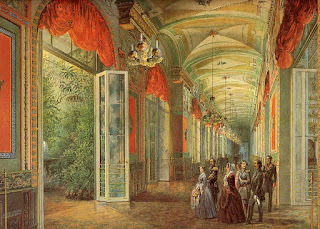 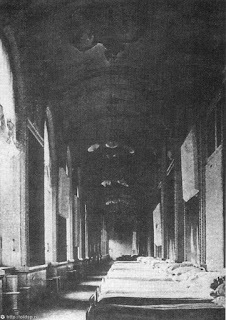 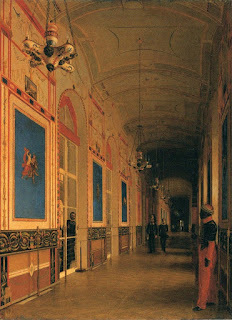 After the 1837 fire, the architect Stasov designed the Pompeian Gallery [151-153 on the 2nd floor plan] for the long corridor. 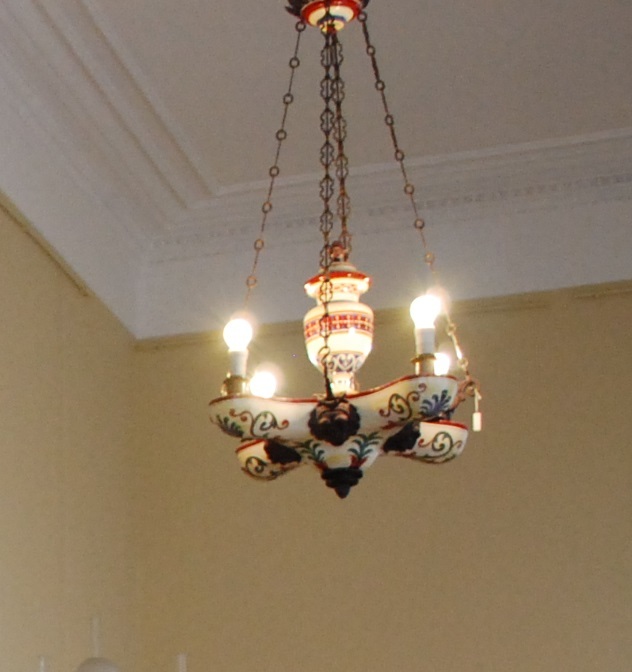 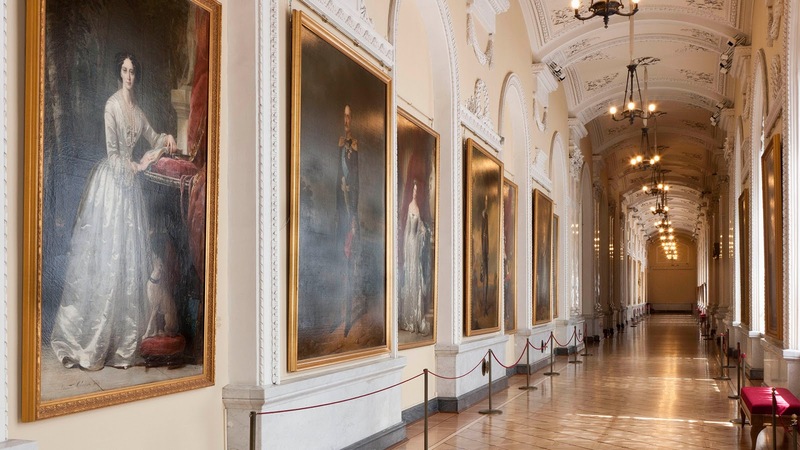 During the reign of Alexander III, the architect Gornostaev redesigned the corridor into the Eastern Gallery in 1886. 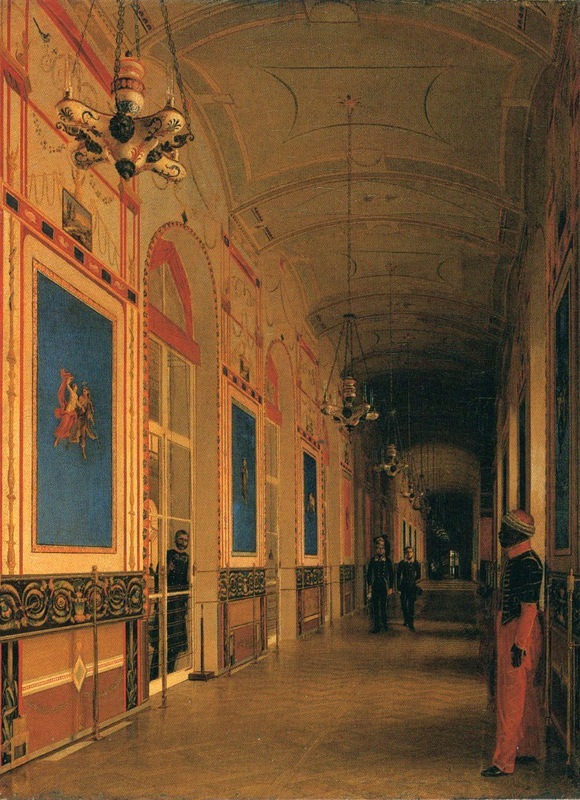 Paintings of battle scenes from the Russian-Turkish war of 1877-78 were displayed on the walls. I loved this, thanks so much Joanna for doing a post on it. 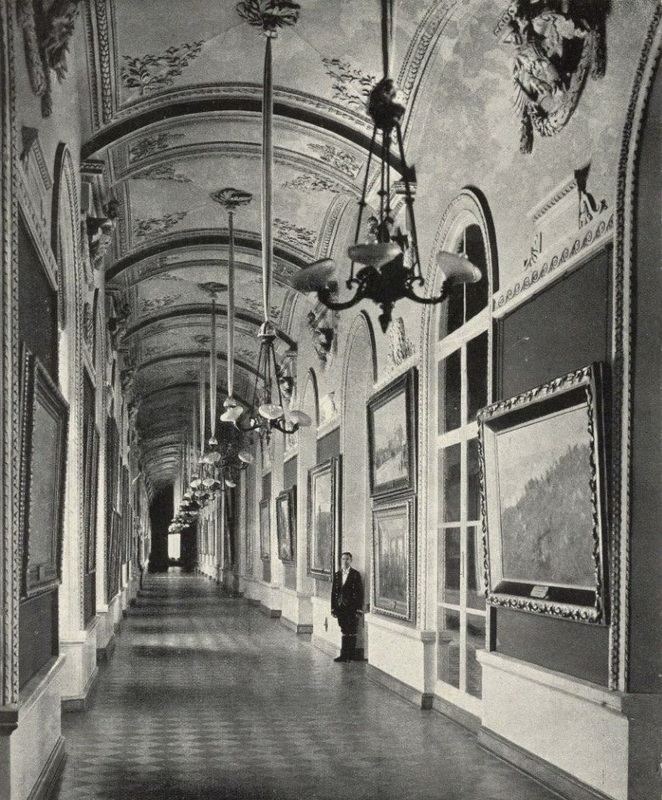 The Dark corridor fascinates me too. 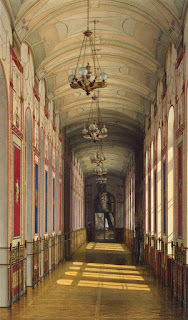 Will you do a post about it? 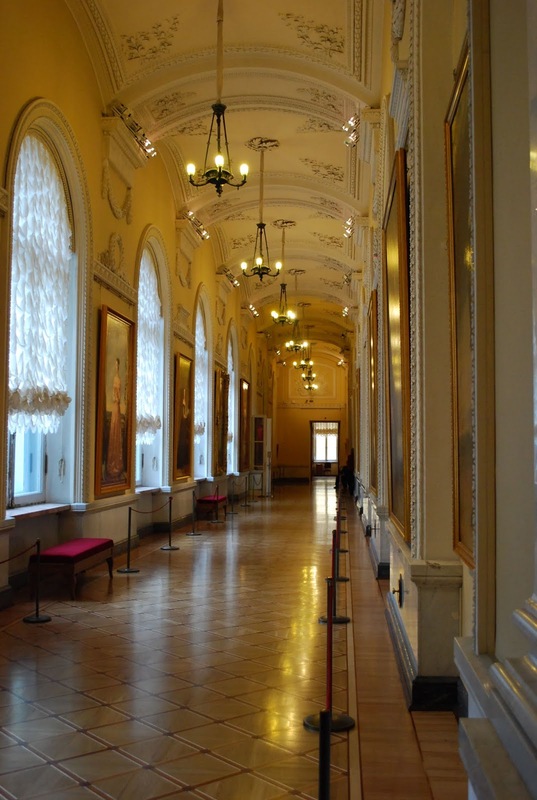 It was incredible the first time we walked down the corridor over twenty years ago!